LG has now announced a new flagship smartphone in the LG Signature series with the name LG Signature Edition 2018 that is the successor to the last year's LG Signature Edition smartphone. The device is currently announced for the Korean market and is expected to be available outside Korean market in the coming days. The LG's Signature Edition 2018 smartphone is made of premium materials like zirconium ceramic which is used to make the back of a phone to prevents scratches. In addition, the buyers of the phone can also engrave their names on the back of the phone. 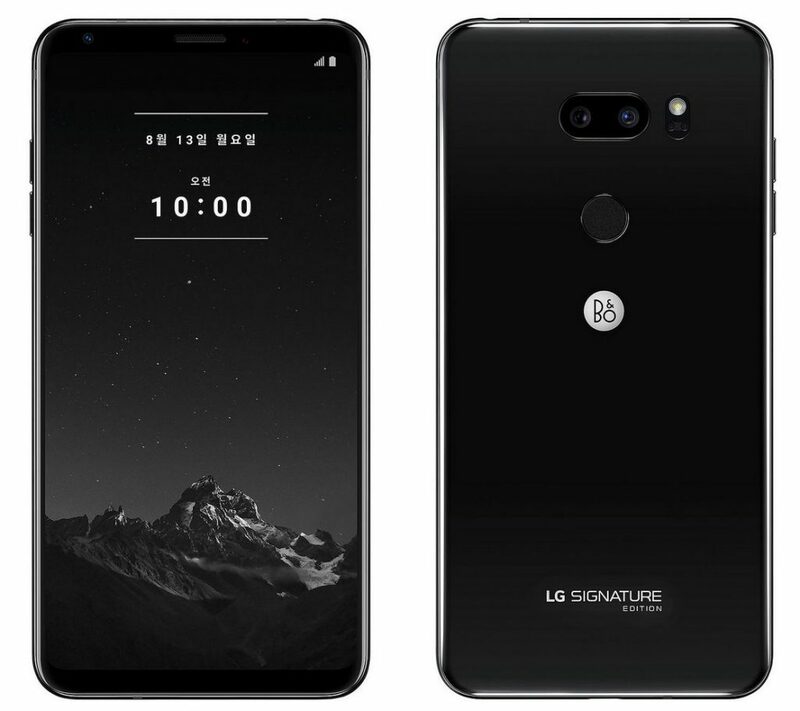 LG Signature Edition 2018 will be priced at 1,999,800 won (around $1,790) and LG has announced that only 300 units of the LG Signature Edition 2018 will be made and the sales of these devices will start from 13th August in Korea. The pre-orders of the device starts today and it will be available with Black and White color options. It will be bundled with a free Bang & Olufsen (B & O) Beoplay H9i headphones. The LG Signature Edition 2018 comes with a 6-inch QHD+ OLED display with an 18:9 aspect ratio, HDR10, 538 PPI, Corning Gorilla Glass 5 protection and 2880 x 1440 pixels resolution. It will be powered by an octa-core Qualcomm Snapdragon 845 Mobile Platform with Adreno 630 GPU. It will be available with 6GB of LPDDR4x RAM and 256GB of inbuilt storage capacity which will be further expandable up to 2TB with microSD card slot. It runs on the Android 8.0 (Oreo) with LG UX on top. It comes with a dual rear camera with a 16-megapixel camera with f/1.6 aperture, 71-degree wide-angle lens along with a secondary 16-megapixel camera with 107-degree super-wide-angle lens with f/1.9 aperture and LED flash. It also has an 8-megapixel front camera with 80-degree wide-angle lens and f/1.9 aperture. It has a 3,300mAh battery with Qualcomm Quick Charge 3.0 and wireless charging. It has a fingerprint sensor on the rear side and comes with water and dust resistant (IP68) features and MIL-STD 810G certification as well. It supports 4G VoLTE, WiFi 802.11 ac (2.4GHz and 5GHz), Bluetooth 5 LE, GPS, NFC, USB Type-C, 3.5mm audio jack connectivity options and additions audio enhancement features such as 32-bit Advanced Hi-Fi Quad DAC and DTS: X 3D Surround Sound. It measures 151.7 x 75.4 x 7.3mm and weighs 157 grams.